Do you have your check engine light on? Have you put it on an obd2 scanner and got p0420 code? Is this preventing you from passing your state’s emission testing? Chances are, you need to replace your o2 sensors. So what is an o2 sensor? How does it work? What is it for? Let’s take a deeper look into this essential part of your cars emission system. 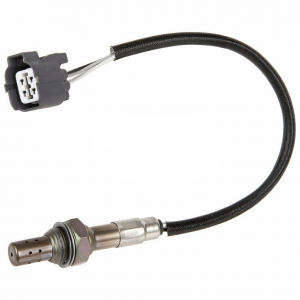 There is 2 oxygen sensor’s on your Honda Element. There is an upstream and a downstream o2 sensor attached to your Element’s Catalytic Convertor. The upstream one takes a reading of your car’s carbon emissions and then the exhaust passes through through the catalytic convertor and the downstream o2 takes another reading to make sure your car’s catalytic convertor is filtering properly. 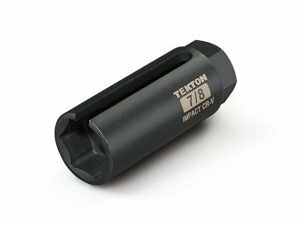 After years of use these o2 sensors acquire carbon buildup and cannot get a proper reading resulting in a check engine light and your car burning more fuel than necessary. 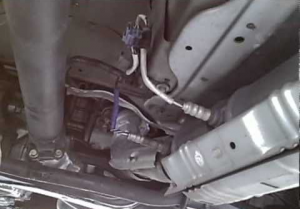 In this guide I want to walk you through the process of replacing an o2 sensor. The first step is always to diagnose the problem. There is no use replacing parts if they have not gone bad right? No one likes spending money they don’t have to. So how do we diagnose a bad o2 sensor? 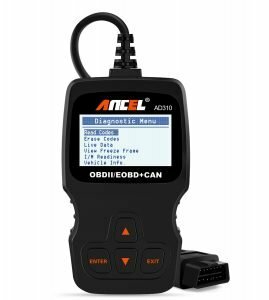 If you do not have a OBD2 Reader you can buy one here, or take your car to O’Reilly Auto Parts or your favorite parts store for a FREE diagnostic check. If you car is throwing a P0420 code you know that your o2 sensor is the culprit. – A faulty o2 sensor can result in your engine’s overall performance to suffer and can cause noticeable shaking at idle and misfiring of a cylinder. If you notice any of these symptoms it is well advised to take your car in to get a free OBD2 diagnostic check. You can also BUY ONE HERE. 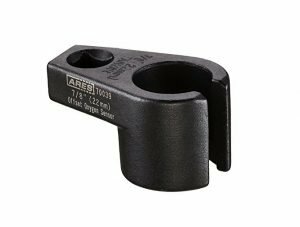 I also suggest buying the proper o2 sensor removal tool to make the job easier but a normal adjustable wrench will work as well. There is two styles of tools and both work just fine. 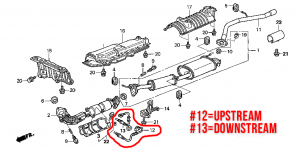 Now that your car has been diagnosed, the replacement parts are in hand and you have the proper tools, its time to begin the replacement of your Honda Element Oxygen Sensor. I always start with unplugging the old part first, so if we are replacing the downstream (towards the rear of the car) start by following the wires out the the o2 sensor and find it’s plug. There is a small tab that needs to be pressed down and then pulled away from the inner part of the plug. Once it is unplugged lets grab our new o2 removal tool and begin to loosen the sensor out of the catalytic convertor. It helps if the exhaust system is warm. If you are having trouble it is advised to apply heat to the area to help break the threads apart. This video is a great guide but you do not have to remove that shield if you buy a o2 sensor removal tool. Buy he is correct, you can use an adjustable wrench or a 22mm wrench to remove the tool.